Duncan McLachlan of Studiograff Photography is college trained and has been a professional image creator since 1985. Living in the north of Scotland with all the big sky's and stunning scenery has helped inspire a love of photography & creativity. At Studiograff we have full public liability & equipment insurance and are a Licentiate grade member (LSWPP) of the Society of Wedding and Portrait Photographers (SWPP). Duncan is also a member of Thurso camera club and has won a number of photographic awards over the years. 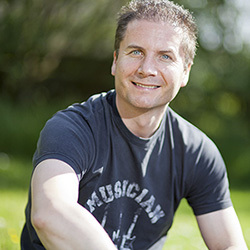 Duncan is well versed in modern, digital editing techniques including HDR photography, creative image manipulation, re-touching and montage design. He is also experienced in video production, 3D modelling and audio recording. We use professional digital high-end cameras, optics and lighting equipment and have robust data backup strategies in place to ensure all your valuable images are treated with the respect they deserve. We outsource all our print, wall display, album and book products to professional high quality suppliers. Currently we mainly use the following software packages: Adobe Photoshop, Lightroom, Muse, Coreldraw, Adobe Premiere, Adobe After Effects, Autodesk 3D Studiomax & Avid Protools.